There are some creative way that horticulturists can source hydroponics water for horticulture. The vast amounts of blue water which covers the globe is astounding. As such, the earth is rightly dubbed “the blue planet” due to its vast oceans. However, this terminology falsely alludes to notions of abundance concerning hydroponics water usage. Because, only 2.5 percent of the earth’s water is freshwater that is consumable by both humans and plants. Moreover, a vast majority of this fresh water reserve is contained in snow and ice. 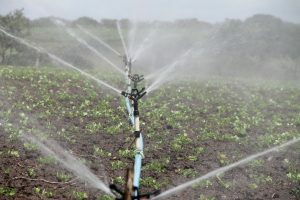 This leaves only a tiny 0.3 percent of water on earth that can be utilized by man for such things as urban agriculture. Vast areas of the planet have experienced water shortages in the past decade. Therefore,the global populace has recognized the need for novel water sources. Furthermore, climactic uncertainties with global warming has created a sense of worldwide anxiety concerning proper water usage. As all drought riddled populations know, our vast reserves of seawater cannot be utilized in human consumption or crop irrigation without extensive desalination. Nonetheless, forward looking controlled environment agriculture authorities are looking to seawater for hydroponics water. Traditionally, the desalinizing of seawater as a source for hydroponics water has been viewed as unpractical. This is largely because, on a molecular level, the water and salt bonds within seawater are notoriously strong. As a result, the desalinization process requires a vast amount of energy. This means, desalination is a very costly enterprise both environmentally and financially. However, oil rich desert countries such as Dubai and Saudi Arabia have initiated desalination programs to supply their people with potable water. Desalinization could be spreading west, however, as the average American citizen uses approximately 130 gallons of fresh water on a daily basis. This staggering statistic represents a misguided sense of freshwater abundance. This ideal becomes blatantly evident in times of water crisis such as the California drought of 2012-2016.
as done primarily to gather the salt from seawater. 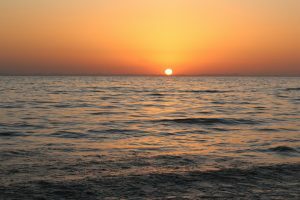 Back then, freshwater was an underutilized byproduct of desalination. As we progress into the twenty-first century, humankind’s interests with desalinization have largely shifted from harvesting salt to collecting fresh water. Solar stills have been used to desalinate water in survival situations on boats and islands for generations. Horticulturists can also create them for desalinizing hydroponics water. Interestingly, a majority of marine based first aid/survival kits include compact solar still kits to be used in emergency situations. Solar stills function similar to the aforementioned salt ponds. However they have an added feature that “traps” evaporating fresh water molecules. Essentially, a clear plastic or glass cover is sealed air-tight over a salt water reservoir then set under the hot sun. Next, as fresh water evaporates from the salt pond, it condenses again into liquid form on the clear covering. To aid in the process, the clear cover should be situated in an angular fashion. This positioning ensures that the condensed water molecules eventually drain down the interior surface of the clear covering and into an awaiting tube or container that contains pure, fresh water. It should be noted that solar stills work quite slowly and they are rendered obsolete on cloudy days. As such, horticulturists should construct many of them if they wish to desalinize large amounts of hydroponics water. Thermal desalinization utilizes heat to boil salt water into a vaporous state. Horticulturists can use this process to separate water and salt molecules. Also, thermal distillation is relatively easy to accomplish at home. It is popular method for creating drinking water in survival situations. With this method, one fills a metal container partially full of seawater and boils it over a heat source such as a campfire. Next, one should place a tall dish in the middle of the container with the boiling salt water—the top of the small dish must be well above the salt water line. After that, a convex lid, with the curve facing “down,” must be placed atop the larger metal container forming a relatively tight seal. The center of this lid must be directly over the midpoint of tall dish. If the system is setup correctly, the salt water will boil and the steam will condense on the convex lid and drip distilled hydroponics water into the interior tall container. This article originally appeared in the May 2017 edition of Maximum Yield Magazine.